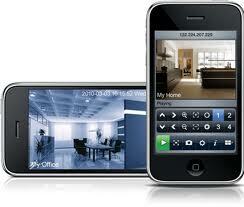 Honeywell have joined with Apple to enable the HRDP DVR to be accessed via iphones and iPads. This is the way many manufacturers are going as the Apple app gives end users the ability to view CCTV images from their HRDP recorder whenever and where ever they may be. Honeywell HRDP DVR gets the iPhone treatment. The Honeywell HRDP DVR has joined the iPhone gang. The iPhone app to allow remote access for the HRDP H.264 is now available from the Apple store and is free to download. Posted in CCTV, iPhone | Comments Off on Honeywell HRDP DVR gets the iPhone treatment.